Profuse apologies for my tardiness. I have poor time-keeping and exams to study for. It’s bizarre that the same music prize that honoured Ms Dynamite also managed to commend I Am A Bird, the endlessly affecting sophomore offering from Antony and the Johnsons. 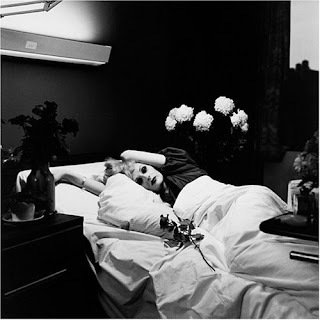 Even the album artwork perfectly encapsulates the emotions invoked by song; a glossy black and white photograph of a stunningly beautiful but ultimately spoiled young woman- Candy Darling on her deathbed. Miss Havisham set to music. Antony and the Johnsons conjure dark, Vaudevillean impressions of freak shows and gothic baroque, stained gospel and schizophrenic soul, all emanating from smoke-billowing concert saloons. One of the most gripping things about the music is that no matter how stirring and heart swelling it can sound on the surface, it’s always set off by a tortured undertone. Today is a song that makes you sad.